Voice Text Input lets you enter text using voice commands instead of a mouse, keyboard, or remote control. This feature is particularly useful for searching, browsing the web, and using applications. 1. 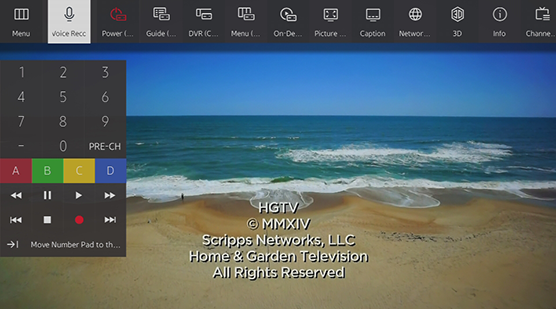 Press the Menu/123 button on your Smart Remote. 2. Then, select Voice Recognition. 3. Press the Enter button on your Smart Remote to say a command. 4. Say the command. For this example, say weather. 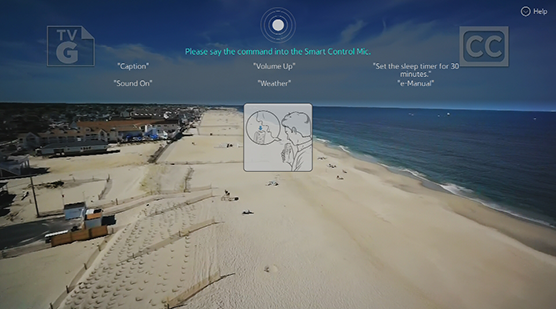 Note: Say the command 4 to 6 inches from the microphone on the Samsung Smart Control. The optimal volume for voice commands is between 75 dB and 80 dB. 5. It will start to load the weather information. Note: The voice recognition rate differs with the volume/tone, pronunciation, and ambient sound environment (TV sound and ambient noise). 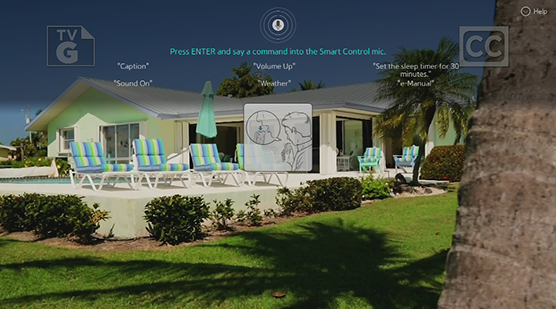 You can access and select certain menu options and functions using voice commands. For more effective voice recognition, speak slowly and clearly in the language specified in the MENU > System > Voice Recognition Language option. ● View all voice commands: Press the down directional button on Samsung Smart Control to display a complete list of voice commands by category. Alternatively, say "Help." ● Deactivating voice recognition: Say "Close", or press the RETURN button to terminate voice recognition. Note: The TV recognizes predefined voice commands only. 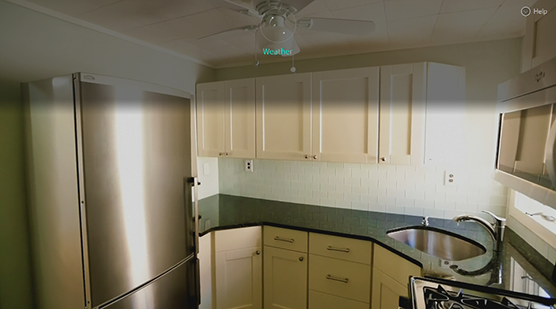 These voice commands may differ from the manual depending on the version of the TV. Enable or disable the voice the TV uses to respond to your voice commands. You can select the gender of the voice the TV will use when you use the Voice Recognition function. You can select a language to use with the Voice Recognition function. Note: Interactive voice recognition is not available in some languages. If the selected language is not available, select a different language.